Neotys was one of 35 vendors evaluated in the 2019 Gartner Peer Insights: „Voice of the Customer“ for Software Test Automation report, and received highest overall rating (4.5/5) and scored high (83%) in Willingness to Recommend use case. 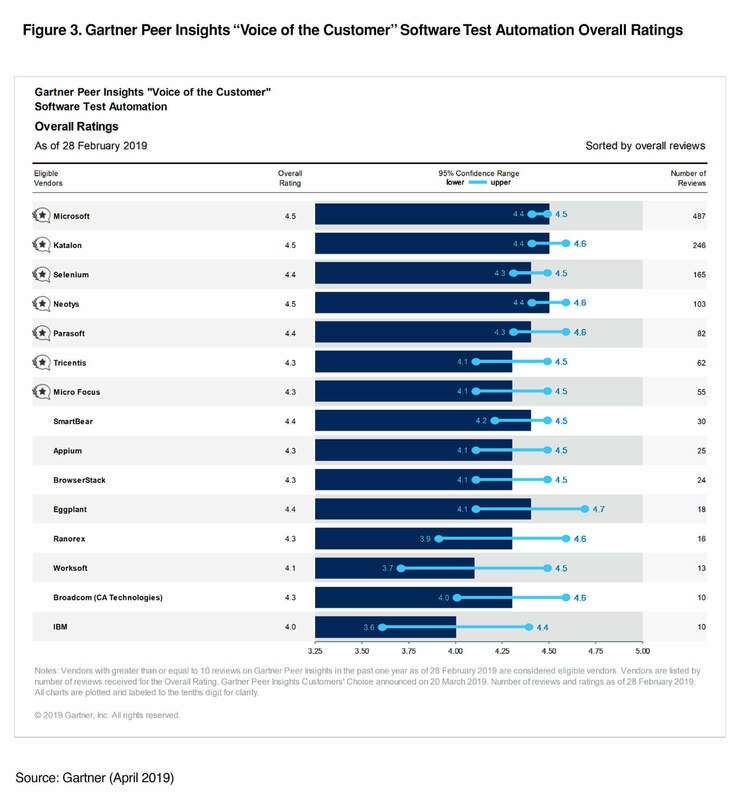 Gartner, Gartner Peer Insights ‚Voice of the Customer‘: Software Test Automation, Peer Contributors, March 2019. 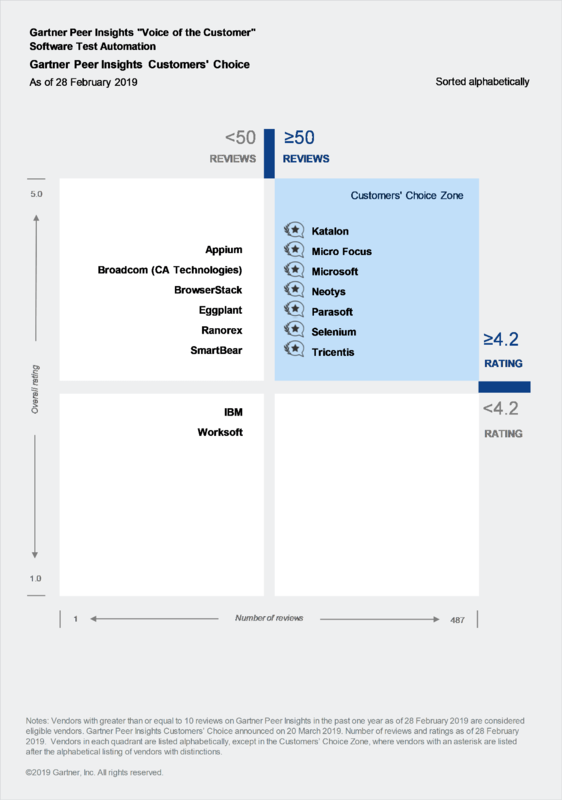 This graphic was published by Gartner Inc, as part of a larger research document and should be evaluated in the context of the entire document. The Gartner document is available upon request from Neotys. 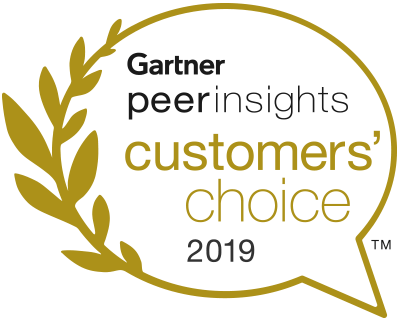 Gartner Peer Insights Customer’s Choice constitute the subjective opinions of individual end-user reviews, ratings, and data applied against a documented methodology; they neither represent the views of, nor constitute an endorsement by Gartner or its affiliates. The Gartner Peer Insights logo is a trademark and service mark of Gartner, Inc., and/or its affiliates, and is used herein with permission. All rights reserved.